Whether you’re a professional forex trader or a novice investor, the MetaTrader 4 is ideal for traders of all skill levels. Its powerful charting functions, large number of indicators and algorithmic trading functionality have made it one of the most widely used trading platforms in the industry. The MT4’s user-friendliness, dynamic security system and multi-device functionality allow you to trade with ease and comfort, making the most out of your trading efforts. Enhance your online trading experience with the powerful, reliable and easy-to-use MT4 for desktop. Access, trade and manage all your accounts from one place, Windsor’s MetaTrader 4 MultiTerminal. Trade anywhere and anytime with the MT4 WebTrader. Works on any device and requires no downloads. Experience trading at your fingertips with the MT4 for Android App. Manage your account and trade the world’s Forex and CFDs markets from your android tablet. Manage your account and trade on the go with the MT4 App for iPhone. 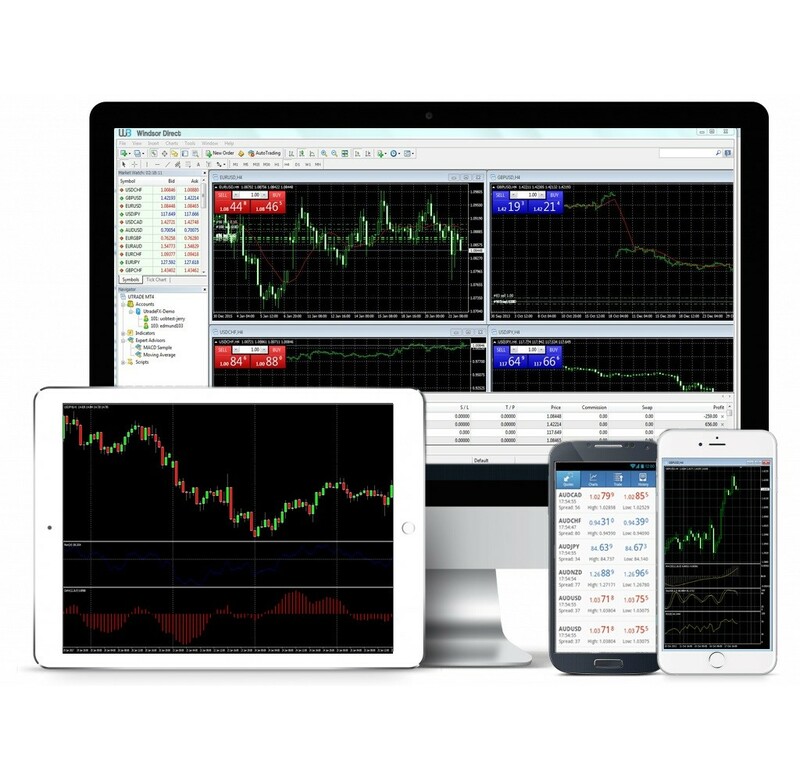 Trade the world’s markets from your iPad with all of the MT4’s essential features intact.